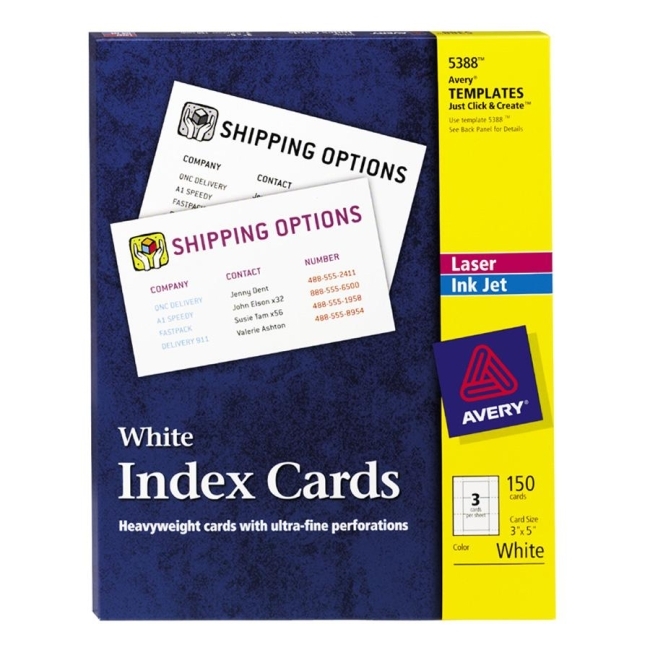 Use index card for filing, reminders, invitations, announcements and greetings. Cards on letter size sheets feed automatically from your printers paper tray. Ultra fine perforations allow cards to separate cleanly, leaving smooth edges. Card stock is coated for vivid color and compatible with laser and inkjet printers. Simply click and create your index cards with preset templates in more than 100 popular software programs.